Gerd Leonhard focuses on near-future, ‘now’ observations and actionable foresights in the sectors of society, business, media, technology and communications. Leonhard is the co-author of the best-selling book The Future of Music and the author of 5 other books including The Humanity Challenge. He is also the host of the web-TV series TheFutureShow. Leonhard’s expertise covers a wide range of issues including digital transformation and the opportunity-challenges of the coming exponential society, social media, TV and film, mobile content and ‘hard-future’ consumer trends, human-machine futures, big data and next-generation advertising. 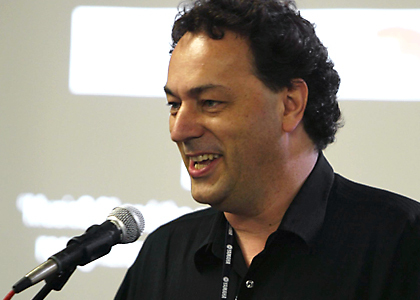 In 2006, The Wall Street Journal listed Leonhard as ‘one of the leading media futurists in the world’. In 2015, Wired Magazine listed him as No 88 of the top 100 influencers in Europe. For a video of Leonhard speaking, please click here.